Rouge Tomate. 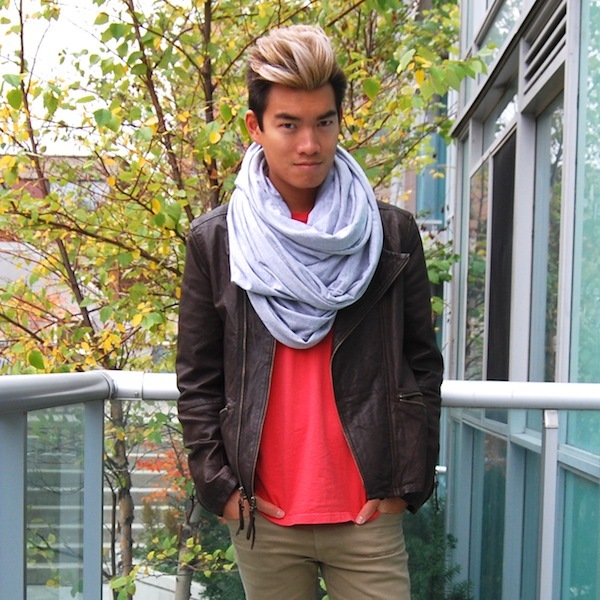 Giving neutral tones a fall kick with tomato red today. 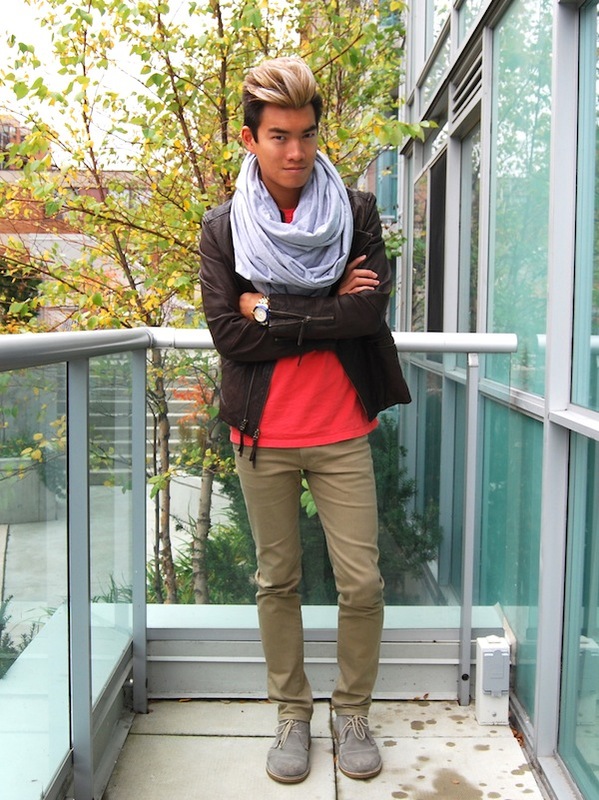 American Apparel snood (aka circle scarf), Gap T-shirt, Monarchy leather jacket, UNIQLO jeans, ALDO desert boots, Glam Rock watch.